This week, we have been looking at the Value of this term – Justice. We read an excellent story called ‘It’s not Fair’ and talked about how there is a ‘North/South Divide’ in the world in terms of poverty. With this in mind, we decided to gather together ideas as to how we could help the poorer people in our world; especially looking at Fair Trade. Baking and then selling Fair Trade cakes was suggested and all agreed that this would be a very good idea! This week at Spiritual Gang, we have been looking again at the power of prayer. 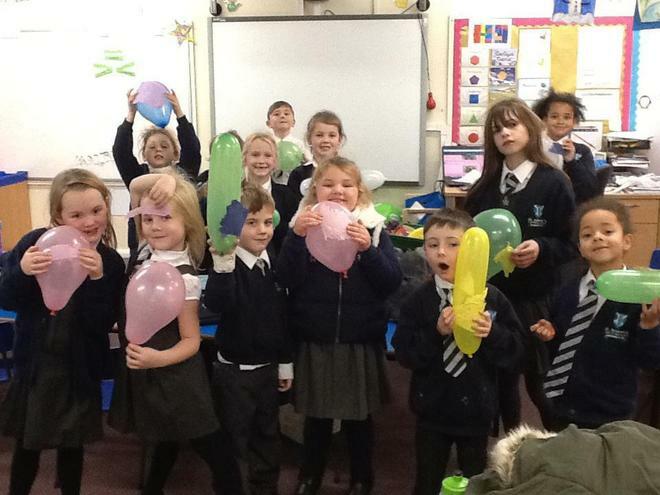 We wrote or drew our prayers on to a piece of tissue paper and then blew up a balloon. 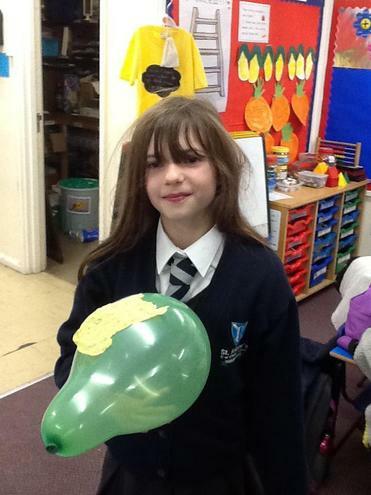 Along with making our hair incredibly messy, we created static electricity and watched as the prayer was pulled towards the balloon – just as God wants to hear our prayers and the power that He has to listen to them. This is a fun, visual way to pray and illustrates God’s power and desire to hear our prayers. As the paper sticks to the balloon, God will hold all of our prayers and we will see his power at work. This week, we have been doing ‘Lego Prayers’. When we had finished, we built a church community out of our blocks. 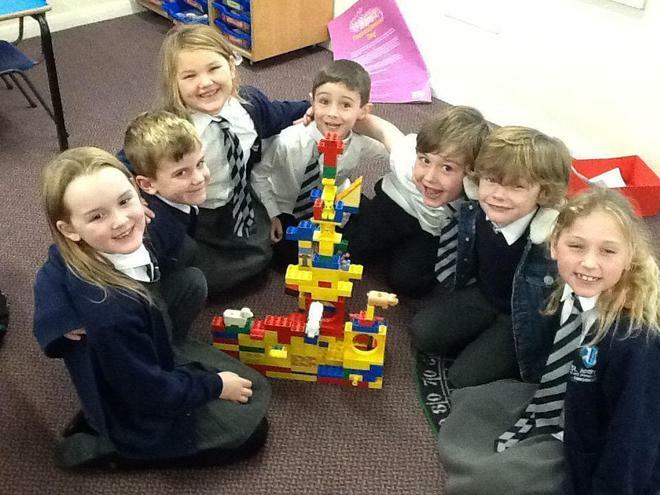 Look at what team work can produce! Last night, our Spiritual Gang met for the first time. We got soaked! That’s because we were having an amazing time looking at the way God is ever present in our lives and how we can ‘TRUST’ that he is always there for us. ‘TRUST’ is our Christian Value this term and so we are going to be exploring how trust is evident in our school every day. We half filled a cup of water and pressed a piece of card on the top. We then turned over the cup (still with water in) and watched how the piece of card remained stuck to the bottom of the cup. We know from our Science lessons, that this is owing to the air pressure pushing upwards holding the card in place; we can’t see it but we know that it is there because it is acting on the card to keep it in place and stop the water spilling out. In the same way, we know that God is always there although we can’t see him and we trust that he is holding us up and supporting us too.